The power supplies can overheat, posing fire and burn hazards. PurpleAir Power is recalling about 4,400 PowerStream power supply units for air sensors sold in the U.S. and Canada. The company has received 27 reports of the recalled power supplies emitting sparks and/or smoke of which 18 are reports of property damage, including one report of a small apartment fire. No injuries have been reported. This recall involves power supply units sold with PurpleAir PA-II and PA-II- SD air quality sensors with model number RKPO-UL052000C. The model number is located on the bottom side of the power adapter. 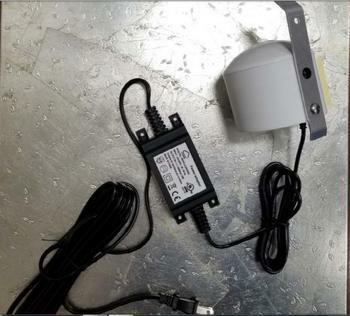 The power adapters are black with a white label, and measure 4 inches long (including the mounting tabs) by 1-7/8 inches wide by 1-3/8 inches high. The air quality sensors are used outdoors by consumers to monitor air quality. The power supply units, manufactured in China, were sold online at www.purpleair.com and as giveaways in communities from October 2017, to August 2018, for about $230 to $260. Consumers should immediately stop using the recalled power supplies and contact PurpleAir for instructions on how to obtain a replacement power supply. Consumers may contact PurpleAir at (800) 474-0696 from 9 am – 5 pm (MT) Monday through Friday, by email at powersupplies@purpleair.com or online at www.purpleair.com/recall for more information.